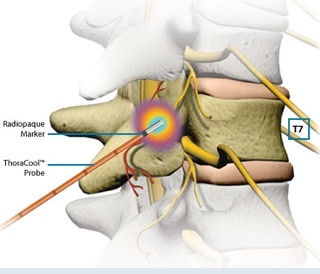 Why is Lumbar Radiofrequency Ablation Such a Revolutionary Treatment? The amount of people in America who have chronic low back pain is well over 50 million. Over 90% of individuals in the US will experience back pain at some point in life, and unfortunately about 10% of those will go on to have chronic back pain. With low back surgery often having unpredictable results, nonsurgical Las Vegas pain management plays a vital role in allowing individuals to keep the baseline low back pain at a reasonable level while allowing people to work, play, socialize and not fall into depression. Radiofrequency ablation is a revolutionary treatment for low back pain for a number of reasons. 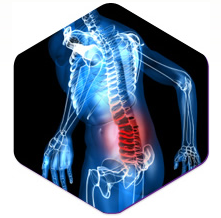 The first and most important reason is that radiofrequency lesioning has been shown to work exceptionally well for those with low back pain due to facet joint arthritis. The low back has facet joints on both sides of the spine at every level. These joints have cartilage just like the hip and the knee, and are prone to arthritis as cartilage is slowly lost over time. There is no effective facet joint replacement procedure like there is for the hip or knee. So over time, Pain Management Doctors in Las Vegas have sought an effective method of relieving low back pain that has a low risk profile, can be performed as an outpatient, works well, and has a long duration of pain relief. Studies looking at the effectiveness of radiofrequency ablation in the lumbar spine have shown over 75% good to excellent results. Not only that, but the duration of effective pain relief often lasts between six and 18 months! There have also been studies looking at repeating radiofrequency procedures when pain relief wears on. Amazingly, those studies have shown the repeat procedure produces results almost equivalent to the initial procedure. Most injections with numbing medicine steroid last a few months. By increasing the duration of pain relief to an impressive 6 to 18 months, radiofrequency ablation has truly been a revolutionary procedure in pain management. The newest radiofrequency neurotomy machines allow multiple levels to be treated at one time. The procedure is performed as an outpatient at Las Vegas pain clinics and usually lasts between 30 and 45 minutes. Pain relief may be felt right away, or there is actually a small chance the patient may get slightly worse before getting better due to some muscle spasms. The procedure heats up the area around the painful facet joints and deadens the tiny nerve endings that supply sensation and hence pain to those joints. Over time, those tiny nerve endings may grow back and the pain may come back as well. A study looking at a repeat radiofrequency ablation procedure in that situation also showed excellent results. An effective radiofrequency procedure may lessen the need for pain medications, and permit an individual to concentrate better, play with his or her kids, and return to work. Even though the radiofrequency procedure does not cure the arthritis problem, it is a huge leap forward for pain management. With the lengthy duration of pain relief and the ability to completely change a person’s life, radiofrequency ablation is one of the greatest inventions in pain management today. Las Vegas pain management doctors perform radiofrequency procedures for neck and back pain along with headaches as well for the occipital nerves. Call Nevada Pain Network today at (702) 323-0553. New research was recently conducted looking at whether or not smoking helps with pain control. A significant amount of people with chronic pain smoke as a coping mechanism. But does it really help? Hear David Greene, CEO of the Nevada Pain Network, describe the recent research. If you live in the Henderson or Las Vegas area and are in need of pain treatment, contact the Nevada Pain Network. 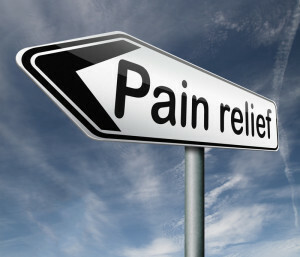 The Network connects those in pain with pain relievers. Call (702) 323-0553 for assistance today with Pain Management Las Vegas trusts. What’s the Difference Between Facet Injections and Epidural Steroid Injections? The two main procedures performed in Pain Management Las Vegas today are facet injections and epidural steroid injections. They are not interchangeable procedures however. There are certain indications for one versus the other to help the patient with chronic or acute pain. There are over 40 facet joints throughout the spine, starting at the neck and going all the way down to the sacrum. There are two at each level and they about the size of a thumbnail. Each joint maintains cartilage just like the hip or the knee, and is subjected to potential arthritis as individuals age. 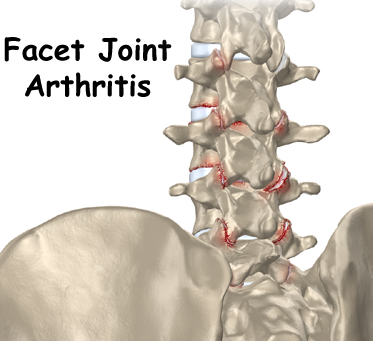 When facet arthritis develops, it can lead to chronic pain in the area. Even though the joints are small, they can cause a lot of pain when injury and arthritis occurs. 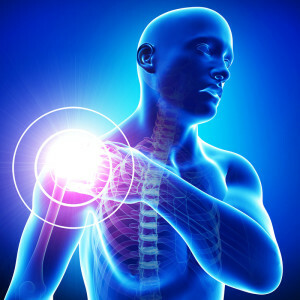 Facet injections involve placing steroid and numbing medicine into the joint that is painful, along with possibly injecting numbing medicine around the joint itself. This does not involve placing the needle into the spinal canal, as the facet joints are located behind this area on the outside of the spinal column. Epidural steroid injections are performed for different reasons and the needles placed into a different area. 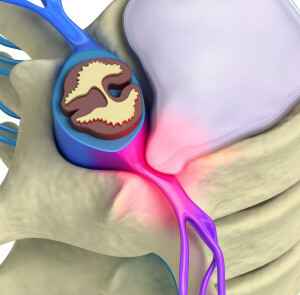 The epidural space is located directly around the spinal cord. In this area compression of nerve roots can occur, which is commonly known as a pinched nerve. 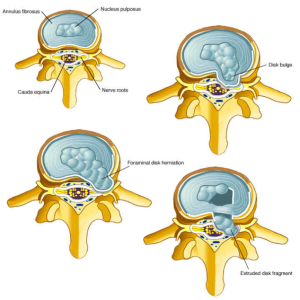 If a nerve becomes pinched by a herniated disc, it is commonly known as a slipped disc. 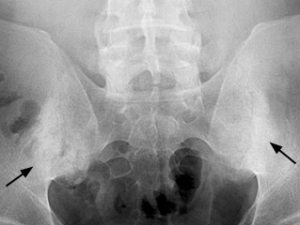 In addition, spinal stenosis often leads to pinched nerves. 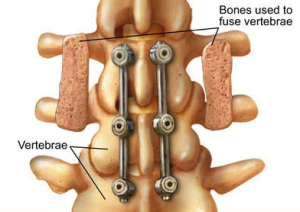 In the case of spinal stenosis, there may be several nerve roots compressed as arthritis overgrows bone and soft tissue diffusely and can compress multiple nerve roots. 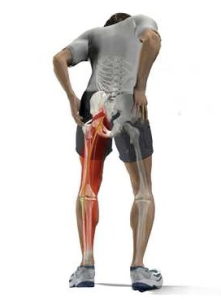 Pinched nerves in the lumbar spine lead to sciatica down one or both legs, and in the neck region it causes radiculopathy with pain down one or both arms. Epidural steroid injections involve placing steroid medication in the epidural space over the area of the pinched nerves with subsequent pain relief. So facet injections involve treatment predominately for chronic neck and back pain due to facet arthritis, whereas, epidural steroid injection’s involved treatment around the spinal cord for pinched nerves causing sciatica or radiculopathy. 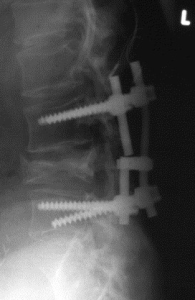 Both procedures have shown excellent success in pain management. Over 75% of individuals on average achieve excellent pain relief with epidural injections and approximately the same with facet injections. Individuals receiving epidural steroid injections may receive a series of injections one to two weeks apart for six weeks (3 injections), and both types of injections may be repeated every few months as necessary. Both facet and epidural injections are performed as an outpatient and have very low risk profiles. This may include a slight risk of infection, bleeding, nerve injury or allergic reaction to the medicines used. If you need pain relief for back, neck arm or leg pain in the Henderson or Las Vegas area, let the Nevada Pain Network help you. The Network works with Las Vegas Pain Clinics, chiropractors and physical therapists in the Las Vegas area. Call (702) 323-0553 for pain management Las Vegas help today! Radiofrequency ablation of spinal joints is one of the most technologically advanced procedures in pain management today. The procedure has been shown to provide excellent pain relief for those with arthritis of the lumbar spinal joints along with the mid back and neck. Over the last couple years, the technology has been used by Las Vegas Pain Doctors also treat sacroiliac joint pain. 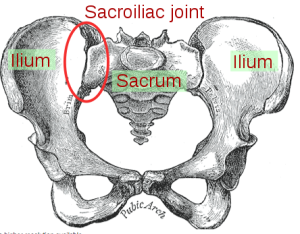 Little-known fact by most people is that sacroiliac joint pain causes between 12 and 25% of low back pain. (Spine 2009, 34:1, 31-37) That has not been a considerable amount of research looking at how effective the technology is For SI joint pain, however, a recent study was presented at this years American Academy of pain medicine meeting. What that study did was evaluate 80 patients at the Cleveland cClinic who underwent the procedure. The study showed that over half of the patients in the study experienced over 50% pain relief for upwards of six months. Studies in the lumbar spine have shown a longer duration of pain relief. Sometimes upwards of 18 months. However, future studies for SI joint pain with a larger number of patients may end up showing better and longer pain relief. Dealing with sacroiliac joint pain can be tough. There’s no great surgical solution. Injections of steroid into the sacroiliac joint may bring significant pain relief for a few weeks to a few months. 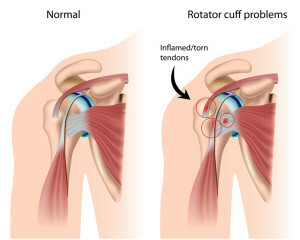 However, the joint is fairly irregular and sometimes difficult to achieve steroid placement in the complete arthritic area causing the pain. Chiropractic treatment along with physical rehabilitation and anti-inflammatory medication by mouth can provide significant pain relief as well. One of the most difficult aspects of pain management is achieving lengthy blocks of time that pain can be relieved with existing procedures. This is one of the reasons why radiofrequency ablation has become so popular at Pain Management Las Vegas clinics, is that it provides a much longer time. The pain relief as compared to steroid injections. Thankfully a showing significantly beneficial results for sacroiliac joint pain. Future research will delineate the best methods of applying this technique and sacroiliac joint pain. When used in conjunction with existing pain management medications and therapies, it presents hope to those dealing with pain emanating from this joint. Pain clinics in Las Vegas often provide RFA treatments, which are also known as radiofrequency lesioning. When looking for a Henderson or Las Vegas pain clinic, make sure RFA is offered.